In 2011, the Maryland Legislature decided that the minimum limits for automobile insurance, which were over 35 years old, needed to be increased. The limits were $20,000 per person/$40,000 per occurrence. They were increased to $30,000/$60,000. Not quite a cost-of-living adjustment (one inflation calculator told me that $20,000 in 1972 would be $107,626 in 2011 dollars). But, it’s something, anyway. 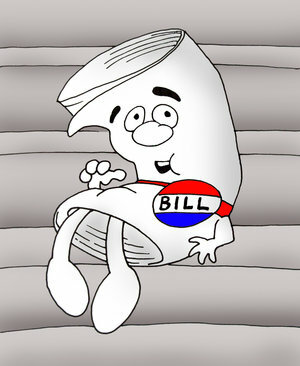 The goal of the 2011 legislation was further protect Maryland drivers. Healthcare costs and lost wages following a Maryland automobile accident can be high. The increase eases the pain a little bit. The problem with the 2011 change was that it did not include the uninsured division of the Maryland Automobile Insurance Fund (MAIF). Not only does MAIF insure (the otherwise uninsurable) drivers of Maryland (who are now required to have $30,000/$60,000), but it also provides protection to people who are in accidents with uninsured motorists, when the victims have no other source of insurance. For example, pedestrians hit by uninsured drivers; and people in bus accidents or taxi accidents who are injured in hit-and-run accidents. In order to pay those claims, MAIF collects a little bit of money from other insurance policies. So, a portion of my Allstate insurance premium goes to the MAIF fund. This year, the Maryland legislature will be considering a bill (House Bill 279, Senate Bill 82) that will raise these MAIF limits to $30,000/$60,000, just like the rest of the automobile insurance requirements. This is a good bill that will serve to further protect Maryland families. I urge you to call or e-mail your legislators (find out who they are here), and ask them to support the increase in coverage.